Naruto is an manga and anime series about a hyperactive young ninja named Naruto. While it's clear that Billy vs Snakeman has been greatly influenced by the Naruto world, it seems quite obvious that BvS is best described as a parody work. None of the characters in BvS are exact copies of characters from Naruto, despite strong resemblances. In each case, the character is at best a caricature of the original. 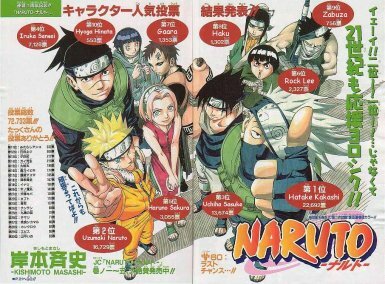 For more information on the Naruto Universe, I recommend checking out Narutopedia. The official Naruto website can be found at http://naruto.viz.com. All copyrights, characters and trademarks are reserved by their respective owners.